Antony Stefan Architect, PLLC is a boutique architecture firm that specializes in residential remodeling and sustainable design. The design work is distinguished through a thoughtful response to the character of the existing building-- looking for places to take advantage of existing construction, as well as key opportunities for transformation. Since 2003, owner Tony Stefan has specialized in remodeling and has created a niche for the firm through a commitment to exceptional service and accountability to budget. We bought a house in Sarasota that was in need of a total renovation. Tony came highly recommended from our neighbors who had used him for an addition to their home. 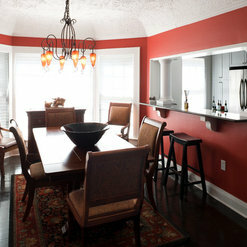 Tony was able to take all of our scattered ideas for the reno and combine them into a cohesive plan. He listened to what we wanted and then offered his ideas on how things might work better, and gave us great new ideas on things that we hadn't even considered. He was also able to steer us in the direction of some trustworthy and reliable general contractors to choose from to do the work on the house. The entire renovation is now complete and it is absolutely fantastic and beautiful! If you choose Mr. Stefan as your architect you will absolutely not be disappointed in any way! Antony came highly recommended as an architect to help with our kitchen remodel and addition. He was very prompt and professional throughout the entire project. He helped us understand all the considerations and details of a good design plan in the very beginning. Antony was very focused on understanding our goals and expectations for this project. He set a detailed timeline and budget and was very helpful in ideas and decisions to keep us on track. He was a pleasure to work with, Thanks Tony! 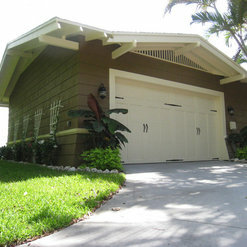 I bought an adorable cottage near Siesta Key Beach that needed an addition added to the existing structure. After searching and reviewing, I decided to use Antony Stefan as my architect. After meeting with Tony I realized that I had made the right decision. He not only gave me his valuable expertise, but also took my thoughts and needs into consideration. Acting as the general contractor the process was difficult, to say the least, but with Tony's guidance and input my addition was built and inspections approved. I am now enjoying my brand new dining room added to an already beautiful home. Thank you Tony. 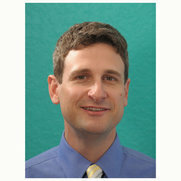 Tony has worked with us on several projects including a large remodel last year. He is a good listener yet gives his opinions. He likes to get to know his clients personally, and likes knowing how we live, how we use the space, etc., so that good design decisions are made that we are happy with. He worked with a builder we selected who he didn't know, and they quickly built a very productive relationship. We will use him for more projects in the future. We love what he has done to make the house ours! Tony Stefan was our house architect and was wonderful to work with. He not only listened to our desires but added his expertise so our home would be both beautiful and functional. We worked together on the interior of the house, which included several designer details, but it was his vision for the exterior which turned out better than we imagined. 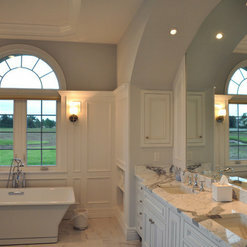 Beautiful arched windows with 'eyebrows', stone work, pillars and an impressive lighted tower - all Tony's ideas. Antony was referred to us by our contractor to design a remodel of our lanai which would include a covered area to dine and enjoy the shade. After meeting with us and taking notes on our ideas and size requirements, he researched zoning requirements and presented us with a conceptual plan that really was much better than we ever thought it could be. He was always open to our ideas and changes. 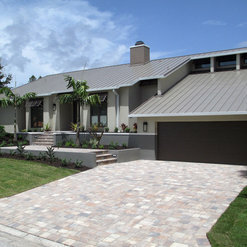 Despite his busy schedule, we were able to deliver final plans to our contractor within 4 weeks. His attention to detail is surpassed by none. He was a pleasure to work with. I would recommend Antony to anyone requiring an architect. 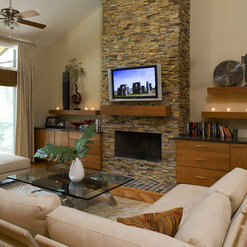 We hired Tony to design a master bedroom suite/garage addition to our 1957 home. He was prompt, detailed and easy to work with. He listened to our ideas and came up with some additional ones. We acted as general contractors for the project and he was helpful in providing all the necessary "details" and paperwork (the hurricane code requirements can be daunting) needed for our Florida building permit application. He provided us with an estimate of costs based on his specifications and with a couple of exceptions he was pretty close. The addition is complete and we're extremely pleased with the final product. The best compliment we have received is from a neighbor who commented that if she didn't know, she wouldn't be able to tell that we had added an addition, it blended so well. I hired Antony Stefan Architect to design an addition for our home. I have been involved in real estate development for over 30 years and have hired numerous engineers and architects. Tony is fantastic. He is knowledgeable, fairly priced and punctual. He visited the property, offered design suggestions and developed a set of plans in the agreed to time. Upon our review of the plans, Tony made the changes we requested and finalized the drawings in short order. The plans were submitted to the municipality and approved the first time through without any changes or clarifications requested by the municipality. It couldn't have gone any smoother. I highly recommend Tony. We purchased a short sale house in 6/13. the house was 12 years old and needed major repairs as well as modernization. Specific changes were needed to improve security as well as conforming to hurricane area requirements.These included removing doors & windows, building new exterior walls to accommodate impact french doors where sliders were. In all In all 21 windows, four sliding doors were replaced and 3 new exterior walls were designed and built to accommodate them. 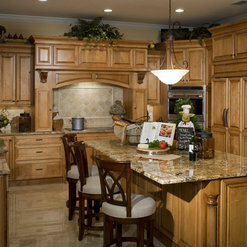 The outdoor kitchen had been removed and a newly designed and fully equipped kitchen was installed. The house was repainted inside and out and Tony's help with color was awesome. All work was completed on time and within our budget. Highly recommended: My husband and I hired Tony to draw up plans for an addition to our home. He was very attentive during our meetings and did a great job listening to our needs, keeping us on track, suggesting less costly alternatives to work within our budget, and communicated with us throughout the design of our plans. He is very creative in his approach, and extremely patient. We plan to hire Tony again when we are ready for our next phase of renovations. The contractor I selected for a major remodeling job recommended Tony Stefan as the project architect. 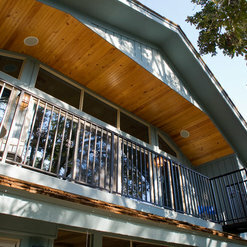 This remodeling project affected both the interior and exterior of my house, which is situated on a bay on the ICW. The architect for this project needed to understand not only the typical interior challenges - ceiling height, room dimensions, etc. - but also exterior issues, which for this project were removing and replacing framing, stucco, doors and windows, and adding a drainage system to the backside of the house around the pool area. Tony was great. He listened to what I was trying to accomplish and incorporated my ideas into the initial drawing, which allowed me to see which ideas were keepers and which ideas needed to be removed and tossed. When I was unsure about an idea, Tony would explain the pros and cons of it. By doing this he saved me from a few bad decisions - like floor to ceiling windows and substituting sliders for some of the windows. Tony's pricing was excellent. He gave me an estimate prior to beginning the project and did not exceed the estimate. He was prompt with his drawings and returned phone calls and emails quickly. When he said a draft would be ready for me to review, it was always ready on that date. I give Tony a five star recommendation. It was a pleasure to work with him. Tony Stefan is a true professional. We found Tony after calling several large firms, only to find that they were more interested in designing their house, than ours! From our first meeting, we fount Tony to be genuinely interested in our project, the complete renovation of a 1950's Venice Island house. As owner/builders, we relied heavily on his expertise, particularly on the structural upgrades required to satisfy Homeowners insurance and code requirements for a beach house in a high winds area. When you retain Tony Stefan, you speak personally with Tony, not administrative assistants, or staffers. We found that Tony was always attentive, delivered his work product on time, and in budget. When questions arose, his response was timely, and professional. His technical drawings and structural calculations were excellent. I have done several projects, and Tony is the only Architect I have ever hired whose drawings were accepted first time, every time by building officials. In fact, after completing an inspection on the structural upgrades to meet hurricane codes, one inspector said "I'm coming here for the next hurricane". Tony's fees are reasonable, and he delivers all that you pay for and then some. We received excellent value for our investment. His cost estimates were right on the money. His professional services were delivered exactly on the estimated price. He showed a sincere interest in our project, and stopped by when in the area to review to progress. We have recommended Tony to several friends and neighbors, and have never heard that anyone was dissatisfied. I strongly recommend Tony Stefan, Architect.